The problem has always been water. Twenty years ago, in 1998, when developers sought water for homes at Coyote Springs, they created a ruckus over the scarce desert resource. The struggle for water at Coyote Springs, a proposed master-planned community about 60 miles outside of Las Vegas in the undisturbed and disconnected desert, was reignited this year when Nevada’s top water regulator said he was unlikely to approve subdivision maps for residential units. Absent another water supply, Jason King, the state engineer and top water official, wrote in May that he could not “justify approval of any subdivision development maps” based on the water rights that the developer owns in a local aquifer. The opinion prompted Coyote Springs to sue the state engineer. Because of the ongoing litigation, neither side is saying much. But given the state engineer’s position, it could be water once again that determines the fate of one of the Southwest’s most ambitious and often-criticized residential development projects. The state engineer weighed in after months of wrangling between the developer and the Las Vegas Valley Water District, which would supply water to potential Coyote Springs homes. King said pumping water could undermine other water rights and an endangered fish, the Moapa Dace, by drawing down crucial springs for the Muddy River, which empties into Lake Mead. Since developers began kicking around the Coyote Springs project decades ago, not much progress has been made in fulfilling the lofty vision, which was, at one time, to build more than 150,000 homes, schools and shops across more than 40,000 acres of desert landscape. Now all that is out in Coyote Springs is a golf course that, to many, seems incongruous with the area. Drive out to the land and it might seem as if there’s no water, but the desert can be deceptive. Millions of gallons of water are stored underground and Coyote Springs has rights to some of it. That is, if the state allows Coyote Springs to pump that water. The problem, from the state’s perspective, is that Coyote Springs is not the only water user with rights to groundwater in several connected basins near the development in Southern Nevada. If Coyote Springs were to pump its entire allocation of groundwater, it could harm other users. It might also draw down the Muddy River to such a level that it threatens the Moapa Dace. This is a problem that is all too familiar to water users in Nevada and throughout the West: over-appropriation. Far more water rights have likely been appropriated to the basins than the amount of water that flows into the basins every year. 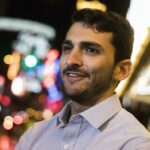 According to a key principle of Western water law — “first in time, first in right” — the users who get priority to water under this scenario are the users who had the oldest claims to the water. That’s a problem for Coyote Springs, since its claim to their water is “junior” to several other water users in the hydrologic area. Lawyers for Coyote Springs, in legal filings from June, cited a consultant and civil engineer who argued that the state engineer’s interpretation of the hydrology is flawed. “Based on [the] analysis of the pump test available in the Coyote Spring Valley Basin, there is no justification for limiting or curtailing the pumping of the existing water rights in the basin,” they wrote. The Las Vegas Valley Water District, through a General Improvement District, is the purveyor and service provider for Coyote Springs. As developers began submitting water infrastructure plans to the water district in the last year-and-a-half, the water district began expressing some apprehension about the ability for Coyote Springs to sustainably pump its groundwater in the future. 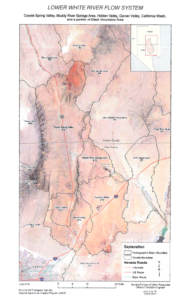 In August, the district urged Coyote Springs in a letter to find other water sources, including the possibility of tapping into the Muddy River. In a letter dated September 12, the developers responded to the district, arguing they had enough water for the first part of its build out, but acknowledged that it would need additional water sources to do a 29,000-home build-out. The water district, in November, took the issue before the state engineer, asking King for an opinion on whether, at that point in time, he would execute subdivision maps for the project. In May, he said no. After the opinion came out in a letter from King, Coyote Springs took the state engineer to court. In a court filing aimed at allowing the infrastructure process to continue, lawyers for developers said that halting the “process of subdivision maps based on [Coyote Springs’] existing certificated and permitted water rights is causing immediate and irreparable harm.” It is likely that the water district will be brought into the suit since it has more sway over whether the planning process continues. Coyote Springs said the opinion could result in laying off more than 80 employees. 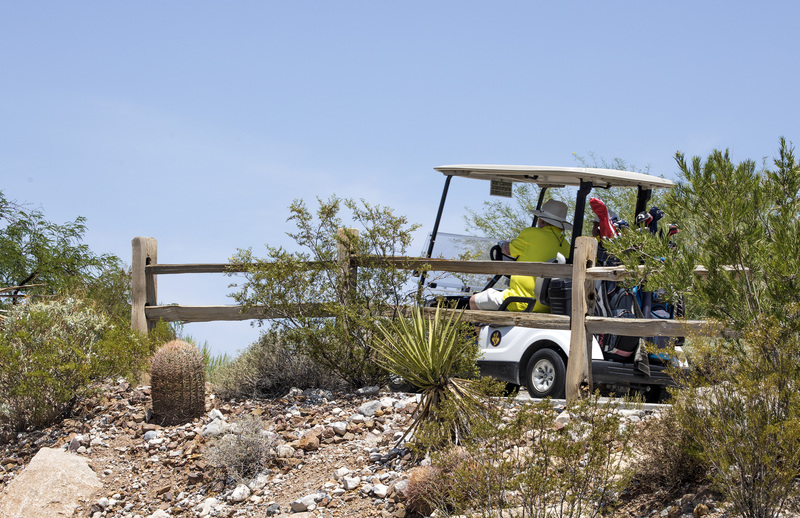 In an opposition to Coyote Springs’ claims, the Attorney General’s office, which represents the state engineer, argued that the developers’ case was speculative because no decision had been made. Coyote Springs has yet to submit subdivision maps for the state engineer to approve or deny. The state engineer argued that he was giving his opinion on a hypothetical. “The state engineer is in the process of addressing concerns surrounding the groundwater in the [hydrologic system] and working with the water rights holders in the area, including [Coyote Springs] on how best to proceed,” Deputy Attorney General James Bolotin argued in a brief. Coyote Springs is not the only water user affected by the state engineer’s opinion. 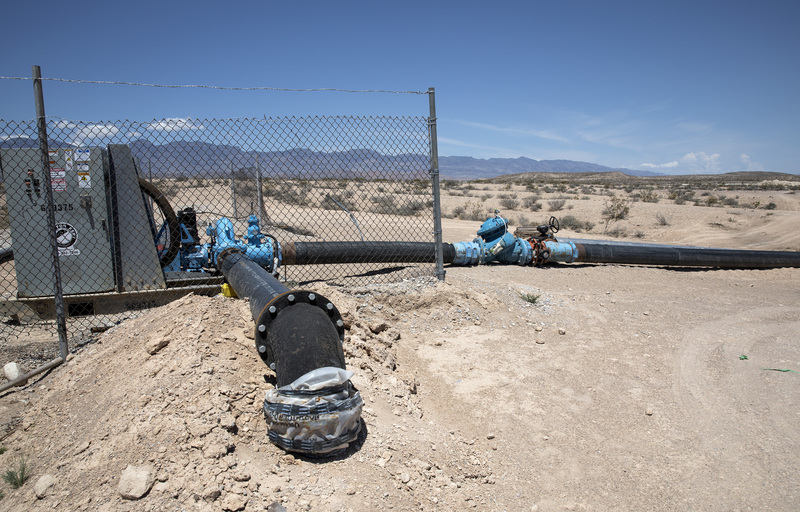 The conclusion that the area can only support a limited amount of pumping is likely to affect a number of users that hold groundwater rights in the connected basins northeast of Las Vegas. The Southern Nevada Water Authority, which is managed by the Las Vegas Valley Water District, also has rights to groundwater in Coyote Springs Valley and could be harmed by the state engineer’s assessment that the basin can only sustain a limited amount of pumping than once thought. In one letter, Coyote Springs developer Albert Seeno III suggested that the water authority could be competing with the residential development for water since they both have rights in the basin. The state engineer is holding a workshop for these water users in Overton on July 24. The goal of the meeting “is to apprise the water rights holders and other stakeholders in the [hydrologic system] of the serious concerns related to the anticipated effects of full development of existing rights in the basin,” the state engineer said in a notice for the workshop.